An oversized ride cymbal with the sharp defintion of a ride and the bright expression of a crash. 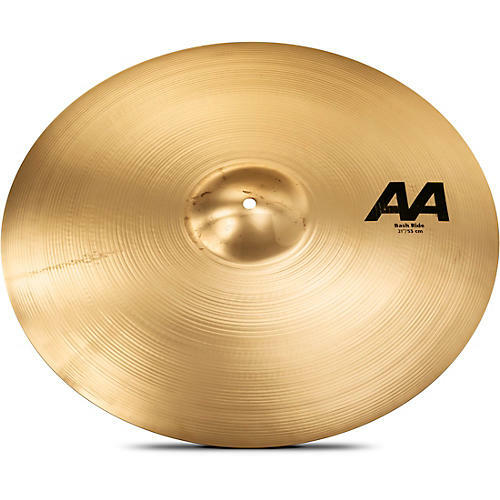 The Sabian AA Bash Ride is essentially a lighter crash-ride edition of the Sabian Raw Bell Dry Ride with a the small-bell design to help control the sound when you need a ride or just open up and bash away on it for that huge, stage-eating sound. The cymbal has a quick wash, delivers clear articulation at all volumes and finishes with warm, dry sustain. This cymbal has a brilliant finish and is available in a 24" model for those who love big cymbals. Drums are a party, make your cymbals a bash. Order today.